It's more than just landscaping... It's Living Art! Casey Sullivan- Owner, oversees each project from beginning to end and takes pride in getting to know each customer on a personal level. She selects only the highest quality materials for each project and will be on site every step of the way to assure only the finest quality of workmanship that clients rave about! If you are ready to turn your property into living art, you have come to the right place! Landscaping has always been a passion of mine. A strong work ethic was instilled in me at an early age. My parents ran a resort in the White Mountains of New Hampshire and at the age of five, I was already honing my landscaping skills! 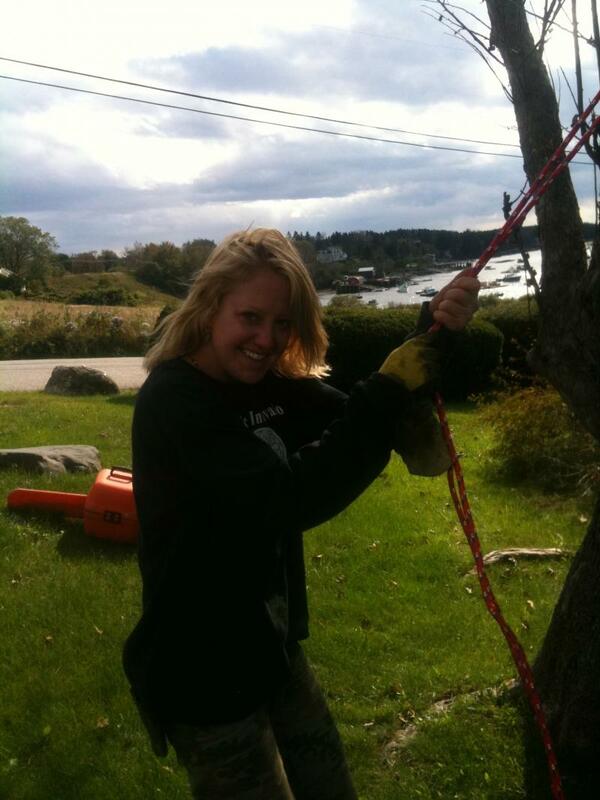 Moving to the beautiful coast of Maine, I worked for a local landscape company in Boothbay Harbor during high school. From there I moved to Portland, Maine where I studied Plant and Soil Technology at SMTC. I then went on to work for a prestigious landscape company out of Cape Elizabeth, Maine for about twelve years until I felt it time to go out on my own. Paul Tukey, author of The Organic Lawn Care Manual, has had a strong influence on my life and in the conduct of my business. From his book I learned about the strong link between synthetic weed killers and many illnesses, including cancer. His book also described the horrible effects these lawn chemicals can have on our environment. It became very clear to me what I needed to do…and so, Organic Innovations Landscaping was born! Copyright 2010 Organic Innovations Landscaping. All rights reserved.